The Circus is in town! 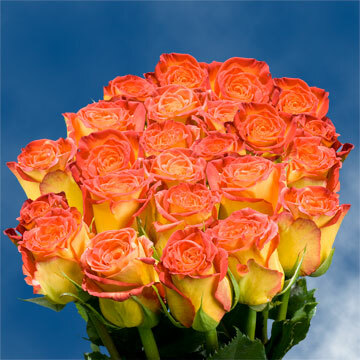 No, we are not speaking of the gaudy annual Circus attraction, but I am speaking of the elegant twin colored yellow and orange Circus Rose. 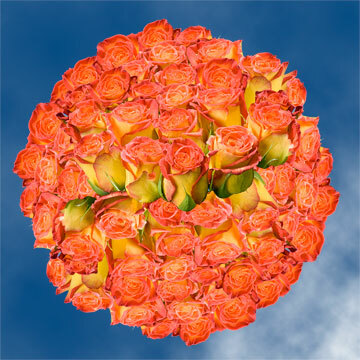 This flower is a yellow based bud that radiates a beautiful orange hue at the petals tips. It is perfect for beached themed events, enchanting ladies hen parties, Halloween inspired occasions, and fall weddings. 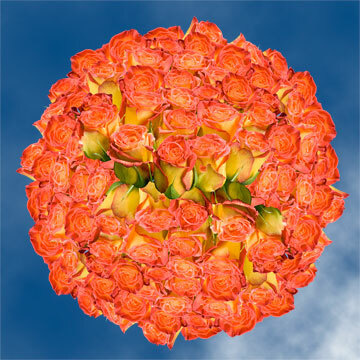 This blossom can also add a radiance of color to any bouquet or floral arrangement. 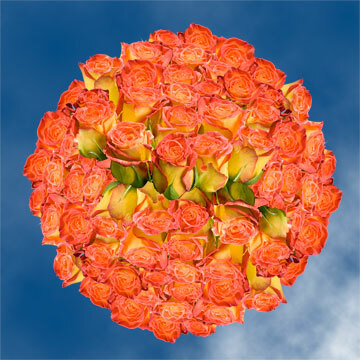 Giving the messages of enthusiasm and friendship, this floret is the perfect blossom to give to a lady friend on her birthday or that special friend you have not seen in a while. These Circus Roses are grown in under the most strict and rigorous standards in the industry in our state of the art greenhouses. 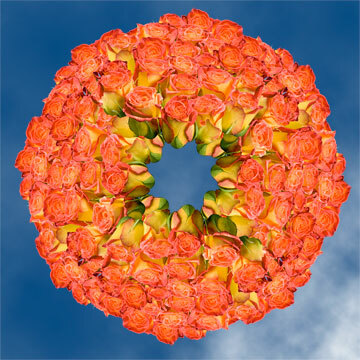 Globalrose.com's florets are the envy of the floral world thanks to our packaging process which keeps our buds fresh all the way to your doorstep. Thanks to FedEx, our products will arrive on your doorstep in a punctual and timely manner. 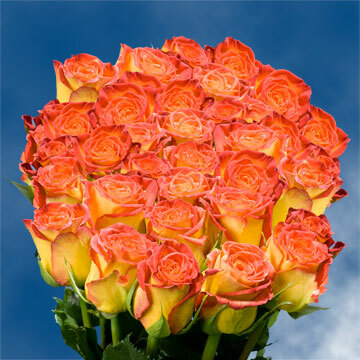 And if you are in need of more roses, Globalrose.com grows all year round and is ready to ship whenever you are ready to make a purchase.